Kedron Lions are seeking motivated and enthusiastic hands on coaches for the upcoming Summer night season. 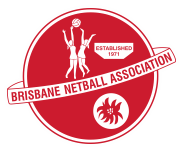 Bring your skill, talent and love of netball to Kedron Lions. Come and join the CREW!! Enhance our girls netball experience and be a wonderful example to your own kids. Minimal experience is required as we will provide support and development to coaches. Summer season commences on Tuesday 9th October, so get in contact soon. For more information or to forward your expression of interest you can contact us at coaching.klnetball@gmail.com or Wendy Hopsick 0414 620 875.